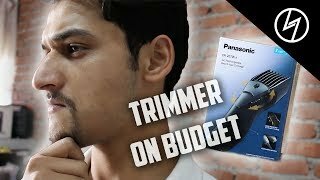 At flipkart.com you can purchase Panasonic ER207WK44B Trimmer For Men(Black) for only Rs. 1,250, which is 25% less than the cost in Snapdeal (Rs. 1,664). 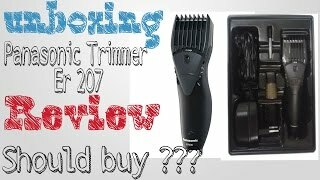 The lowest price of Panasonic ER207WK44B Beard Trimmer ( black ) was obtained on April 20, 2019 4:39 pm. Product is worth the price and quite handy .Only issue is with its charger size . The same being quite huge when compared to the product itself and issues arise during frequent travel time . Still can be recommended . Nice good working ….. Since from past 4years I use Phillips but now I tried Panasonic it was good product with nice shape and comfort in hand. Great product. Strong built. Easy cleaning. Worth every penny.Working on direct power is a major plus point in case of an emergency when the battery is dead.Very satisfied. Have been using this for 3 months now. It works really well. It takes around or eight hours to charge and works for around an hour. There are 12 different settings for the length of the beard or moustache. Superb product, little bit charger is heavy, handy, good build quality,nice trimmer excellent size adjustments 0-12mm. Min charge without power 30 to 40 mins, depends on trimming.Overall good product. I bought this 999/- only.